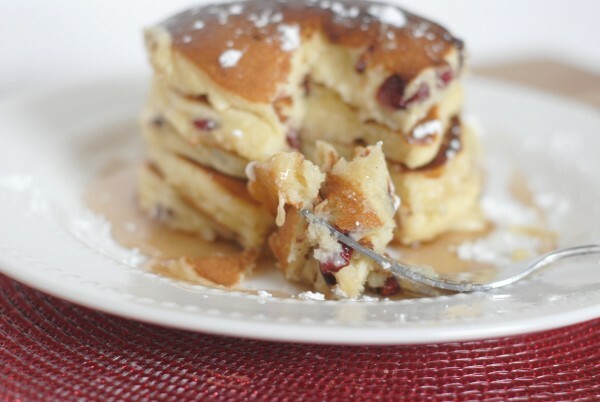 Cranberry white chocolate chip pancakes are an epic way to start your new year. 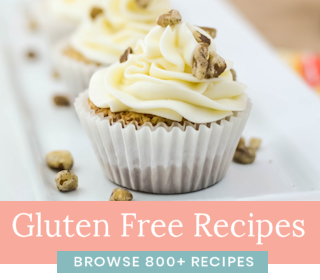 They’re gluten free too, if you’re up for a change! 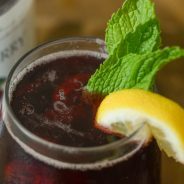 During the winter months, for some reason I just crave all things cranberry. I love adding dried cranberries to a multitude of foods. 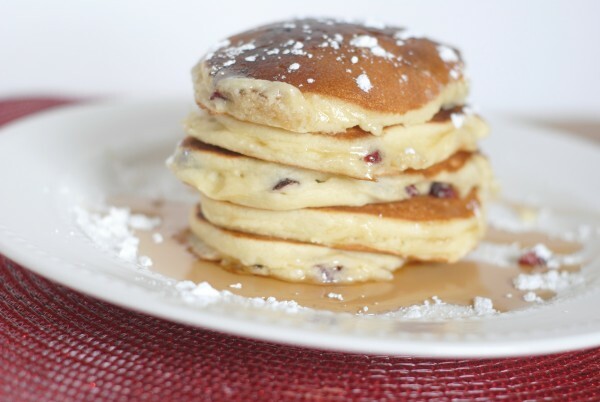 These cranberry white chocolate chip pancakes are always served on snow days in our home. I’m not sure why I love them so much when it’s snowing, but they just seem like a must-have on snow days. I also sprinkle them with ‘snow’ AKA powdered sugar too. 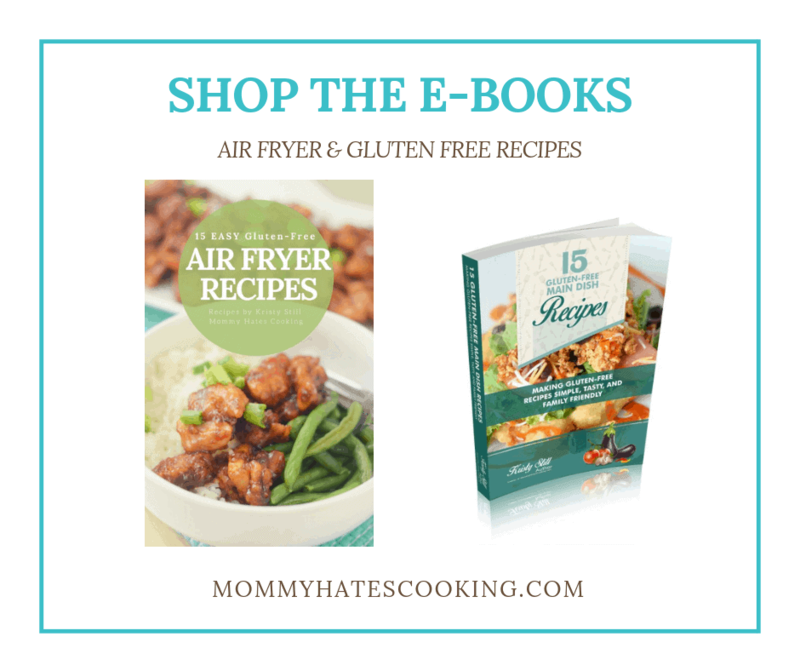 My kids love them as well, and it’s just perfect paired with a nice cup of hot coffee. Then, of course, watching the snowfall too. 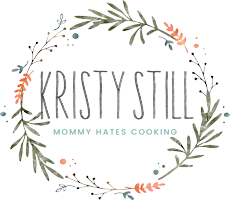 The first year I made these was right after my son turned 1, and it was snowing. It was the first time that he really understood what the snow was, too. I guess that may be why any time I think of them, I always think of snow days. Now, I’m really hoping for some snow this year, maybe not as much as last year, but still, a few days would be nice! I love these pancakes because they are nice and fluffy. The batter is not very runny, making them easy to shape into that perfectly iconic round pancake that everyone hopes for. Once they are nice and golden brown, I serve them with pure maple syrup and sprinkled with “snow”. That’s the best part! 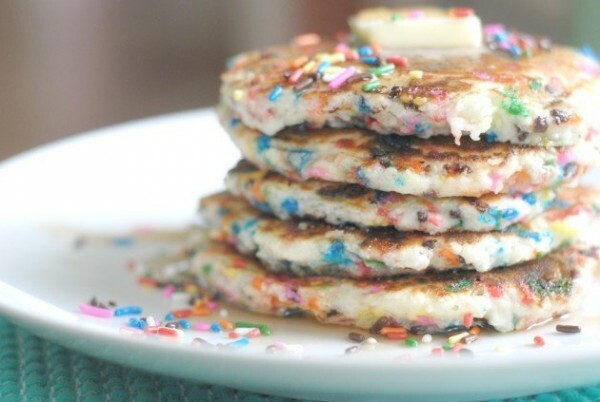 Now, these may be a little sugary for breakfast but they are worth it and so good. 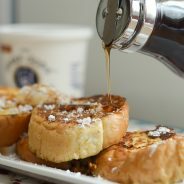 Do you have a breakfast that you always serve on snow days? Or do you just sleep in and wake up at lunchtime? 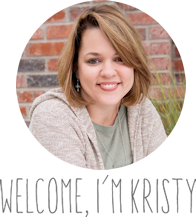 I could only hope for that much sleep, but those days are gone for now in our home, with two little ones under five running around. What type of pancakes do you enjoy making most? If you’re looking for a tradition to start, start with these, or Heather’s cherry pie pancakes, or even Megan’s mascarpone pancakes. No matter what, it’s time to try these babies, heavy on the white chocolate and tart cranberries, immediately! 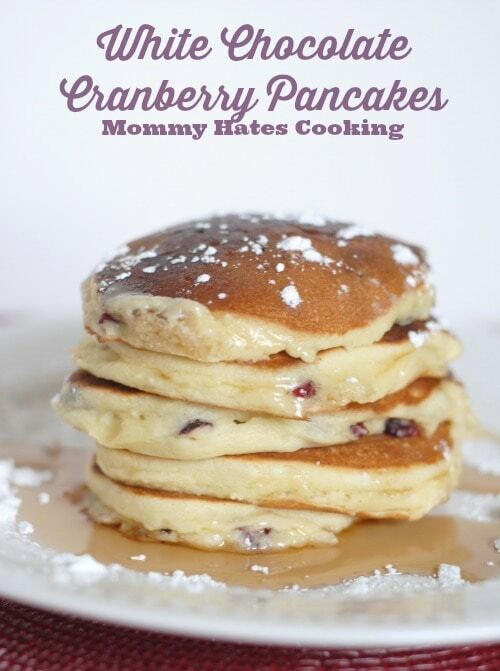 I’m sharing this delicious recipe for Cranberry White Chocolate Chip Pancakes over on Food Fanatic today. 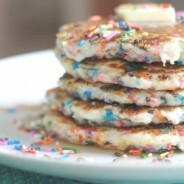 Also be sure to check out these great Fluffy Funfetti Pancakes.